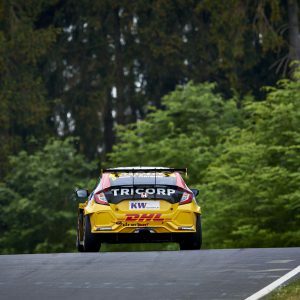 Nürburg, 15 May, 2018 – One highlight is chasing the next in the FIA WTCR by Oscaro season. 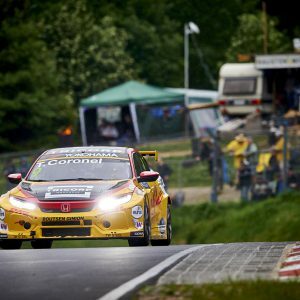 Last week, three races were held on the support package of the 24-hour race at the Nürburgring-Nordschleife in front of no less than 210,000 spectators. 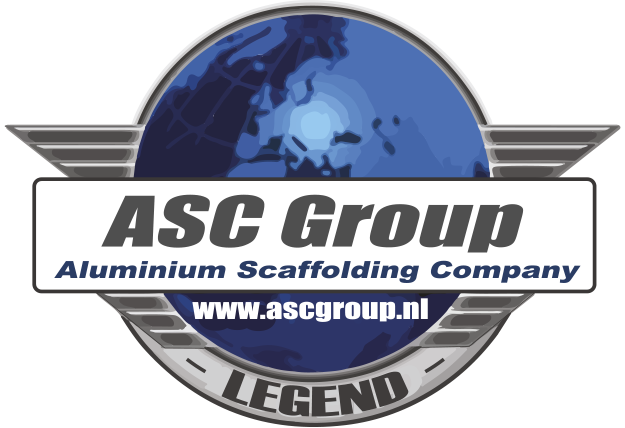 This weekend, touring car action continues during the Jumbo Racing Days driven by Max Verstappen at Circuit Zandvoort in The Netherlands. Here, too, an impressive crowd is expected. 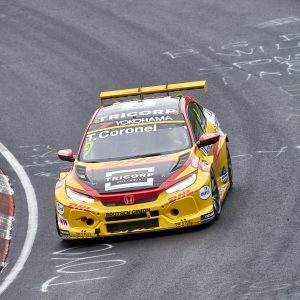 Tom Coronel, who is racing a Honda Civic Type R TCR run by Belgian team, Boutsen Ginion Racing, in the FIA WTRC, managed to score championship points in all three races at the Nürburgring. 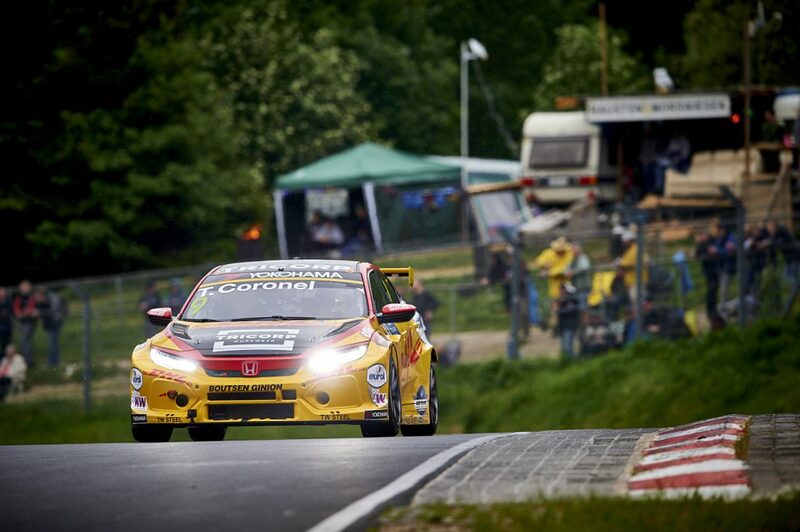 Thus, he is extra motivated for Zandvoort where he wants to shine again in front of his home crowd. 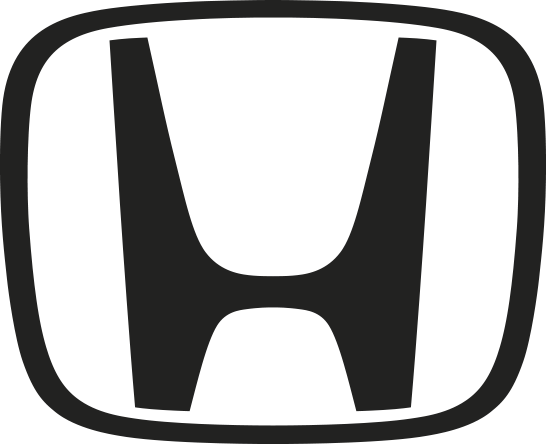 After the races in Hungary, the Boutsen Ginion technicians worked hard on the Honda in order to improve their Dutch driver’s chances to score championship points. This resulted into a good seventh place on the grid for the first race in Germany. 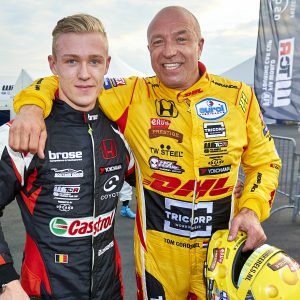 After the start, Tom Coronel made it through the usual frenzy of the first corners, but slightly lacked the speed to be really competitive on the straights. Nevertheless, he kept the damage limited and was ninth across the line. For the second race of the meeting on Saturday morning, the Honda driver was 13th on the grid. Once again, the first corners were crucial to determine the positions in the field. 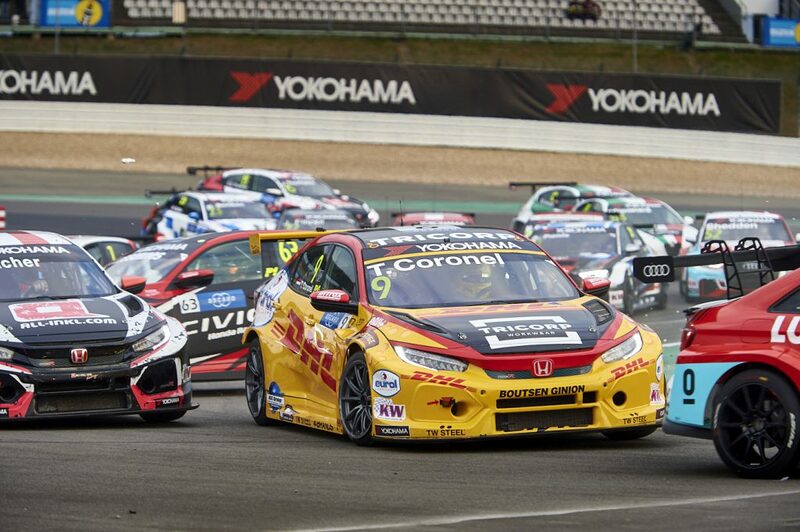 The yellow and red Honda made its mark and was eleventh after the opening lap, moving up once place further ahead on the next tour. A time penalty for another driver meant one more position gained for Coronel. 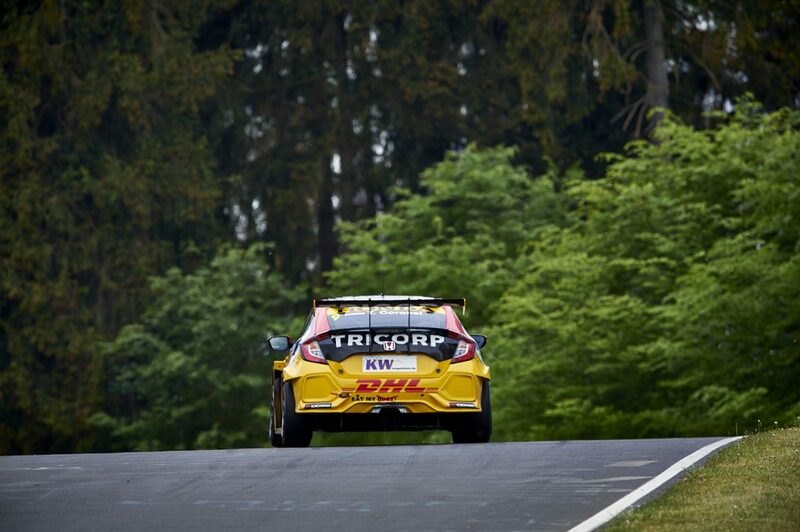 The third and final FIA WTCR race at the Nordschleife saw Coronel again in 13th place on the grid. 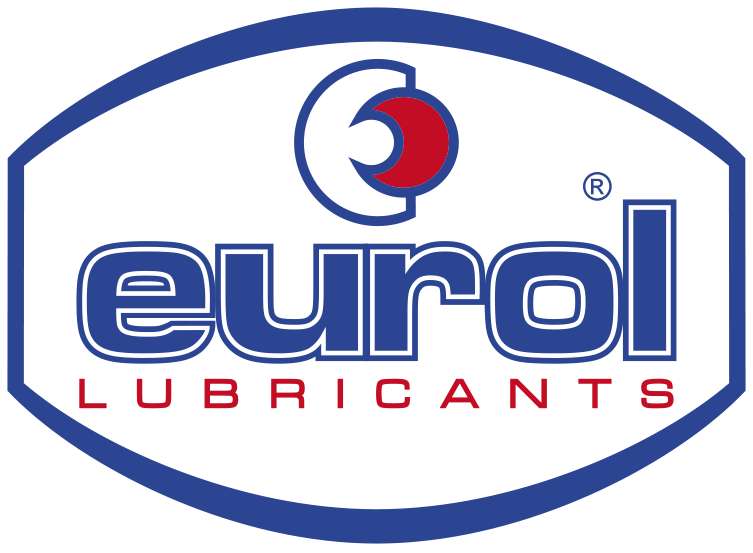 In the opening stages of the race, there were many battles around him and he lost one position. Later on in the ‘Green Hell’, there was plenty of action throughout the field. On lap two, Coronel gained one position, but the most frenetic action was yet to come. On the final lap, retirements from the top ten included Rob Huff and Norbert Michelisz, who were both in front of Coronel. The two collided and came to a halt on track, at the very moment when the Dutchman’s Honda arrived flat-out on two wheels through the corner. 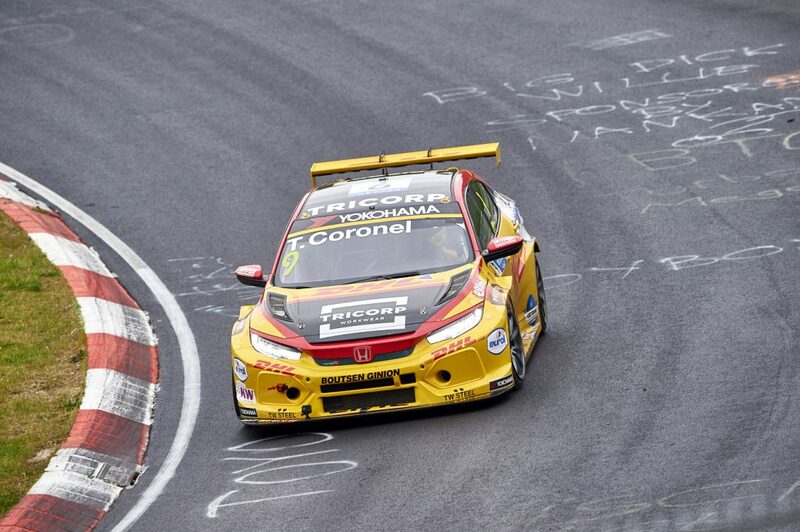 Hard braking and quick steering action helped Coronel to make his way through without any damage. Thus, he gained two places and scored the third top ten result from as many races this weekend. As a result, he now has eight points in the championship. 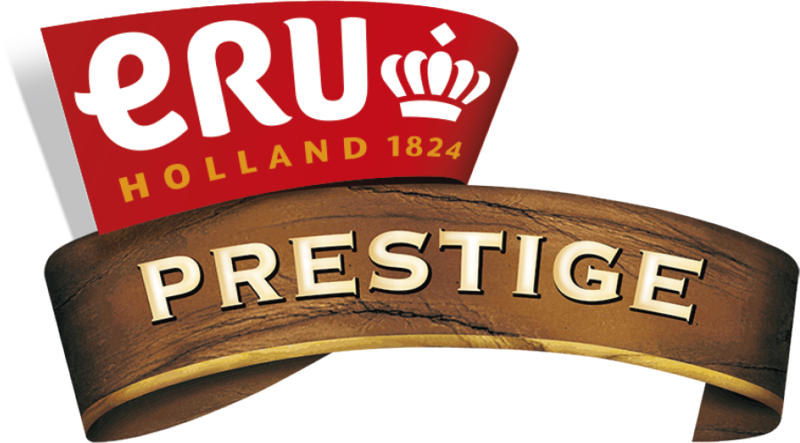 A good result with the next round already scheduled for this weekend at his familiar Circuit Zandvoort. 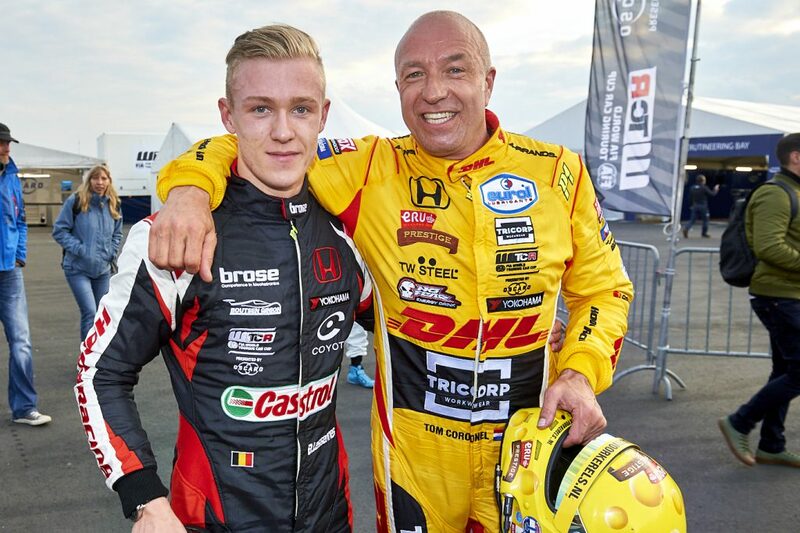 Tom Coronel commented afterwards: “This is and will always remain an absolutely fantastic circuit. Even though I know the corners reasonably well by now, every lap is still always different. Looking back upon the weekend, I am quite happy with the way things were going. The Honda was definitely better, but still lacked some speed on the straights. Sometimes I felt like a sitting duck when I saw the difference in speed, for instance when the Audis overtook me. On the other hand, my knowledge of the track enabled me to make up for it to a great extent. Especially in the last two races, I was able to pull a gap in the twisty part that was enough to make it difficult for the others to still overtake me. It was also really nice racing with some contact, pushing and pulling. The important thing for me was to score championship points, which is what I did in all three races. Sometimes, I got an extra point by actions from others and penalties as a result of it. 9. 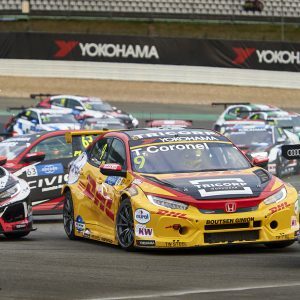 Tom Coronel (Ned) Honda Civic TCR +18.573.